Hello world! 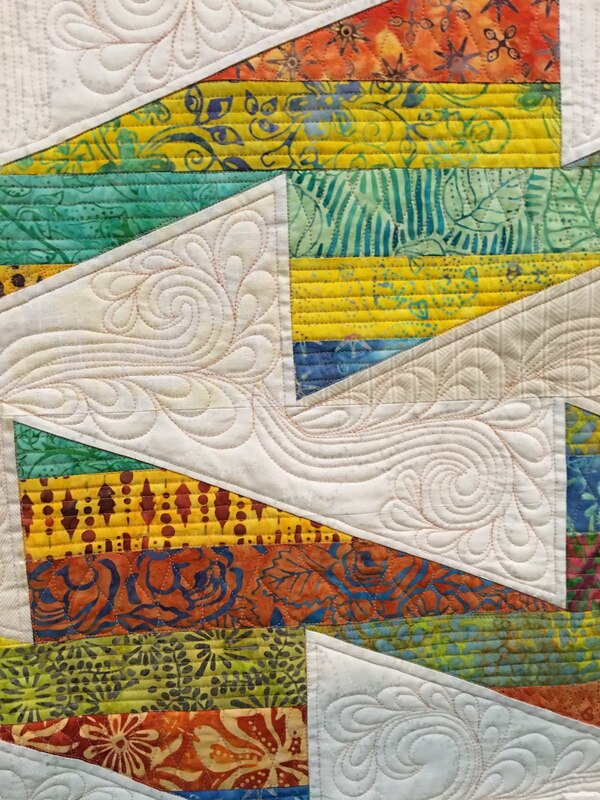 I'm a machine quilter and I'm starting a blog! Here's one of my latest quilts. 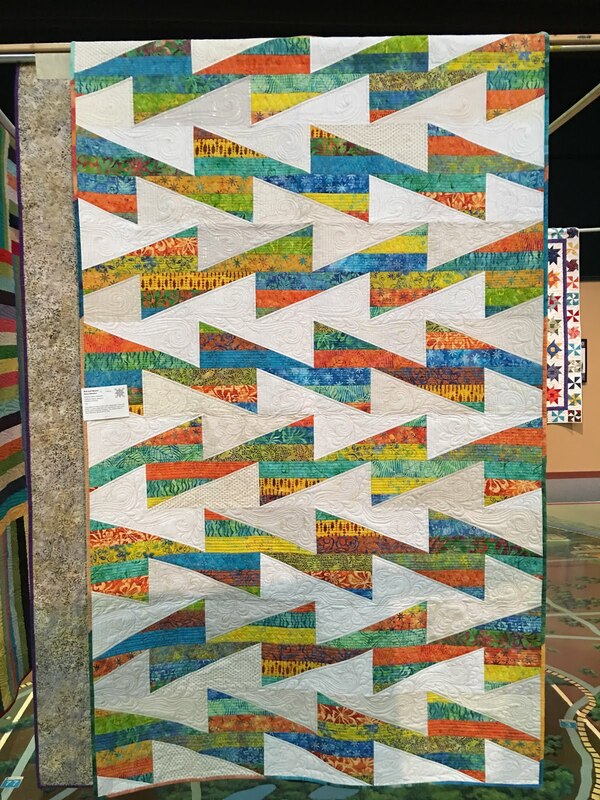 The pattern is from Gudrun Erla's book Strip Your Stash. 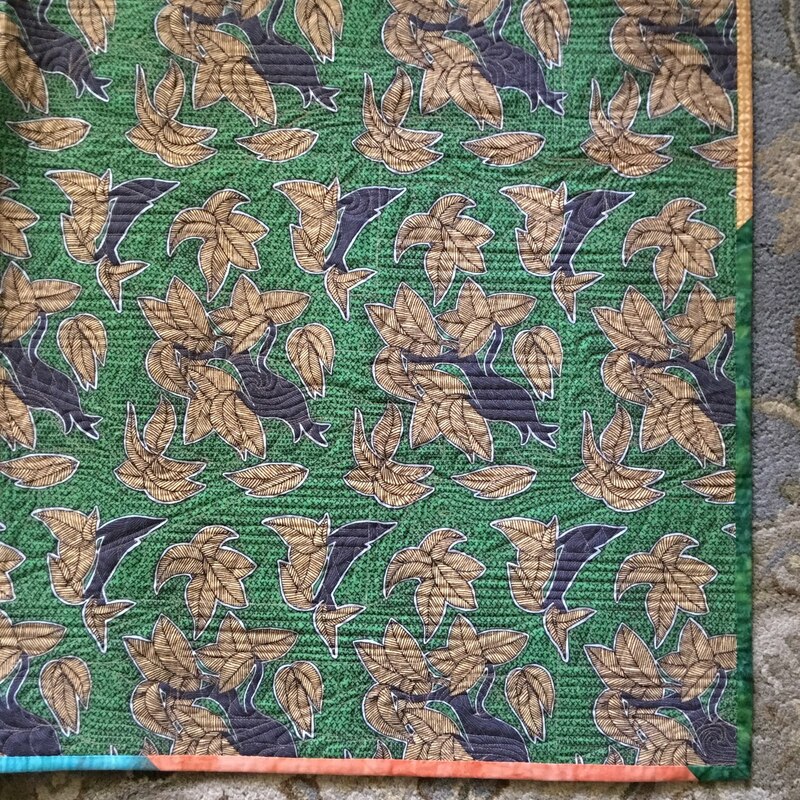 I custom quilted it myself, similar to the sample in the book, which was quilted by Angela Walters. It won 1st Place, Viewer's Choice at our Dakota County Star Quilters quilt show in May, 2016! The backing is from IKEA--60" wide. It's an African-look fabric, trees and leaves, that came in a 3 meter cut.